EOS is one of those brands where everything they make smells good and is cute and not too pricy. I had tried any of their products though, so last year I ended up grabbing a lip balm set and a shave cream and recently I got to try out those products again. I have a EOS Spring 2014 Lip Balm Set* and EOS Shave Cream in Lavender Jasmine*, both of which are perfect, pastel-coloured products that would fit nicely in an Easter basket. The EOS Spring 2014 Lip Balm Set* is limited edition, but has the same flavours as the one I grabbed last year actually. it contains two of the signature EOS smooth sphere lip balm, in adorable packaging that would make a great gift as well. The lip balms are certified organic, as well as being free of parabens, gluten and petrolatum. 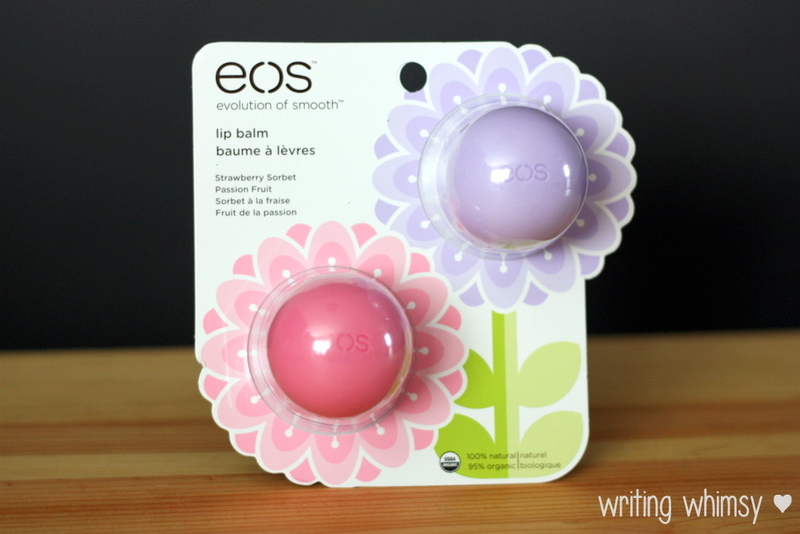 The EOS Spring 2014 Lip Balm Set contains the flavours Strawberry Sorbet (pink) and Passion Fruit (purple). I know the spherical packaging isn’t for everyone, but I love it. It fits nicely in your hand and is easy not to misplace, plus they are just so cute! 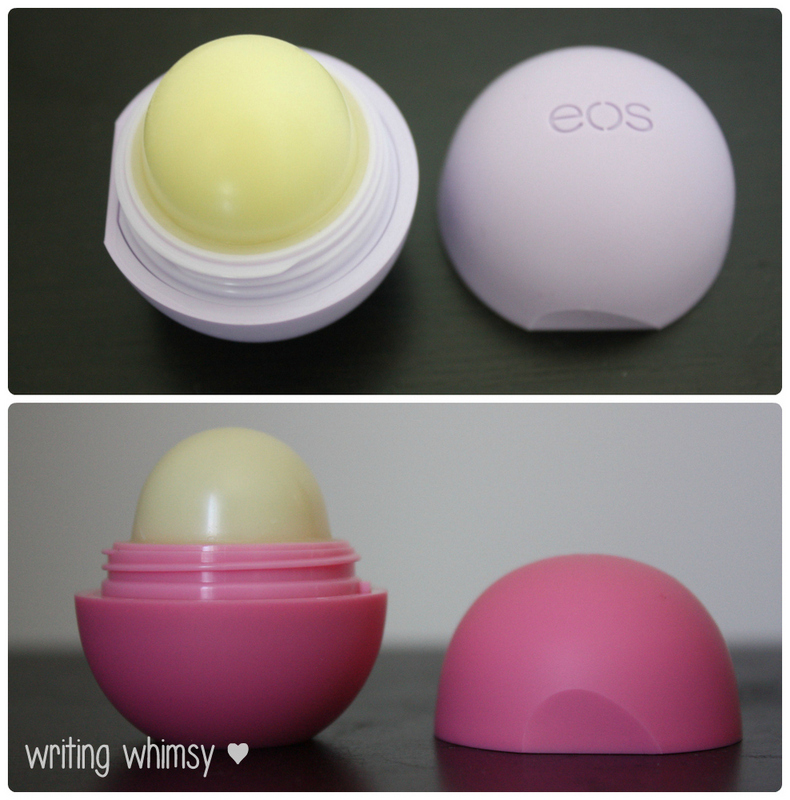 In terms of the product inside the packaging, the EOS Spring 2014 Lip Balm Set is just okay. Both scents are pretty sweet and fairly realistic, which makes me less a fan of the Strawberry Sorbet, although I adore the Passion Fruit The Passion Fruit scent smells. The rounded shape of the lip balm makes it easy to apply on your lips and hygienic, although eventually it will get flat and apparently you can still get more out. I find the lip balm itself pretty light and not incredibly long lasting, so although I don’t think it’s super special, there’s nothing wrong with it either. The only issue I have with the EOS Spring 2014 Lip Balm Set is the fact that EOS lip balm is flavoured and I really dislike that in a balm. So while I do think this would make an adorable gift, and I do think these are a lot of fun, they only really work if you don’t mind flavoured lip balms. 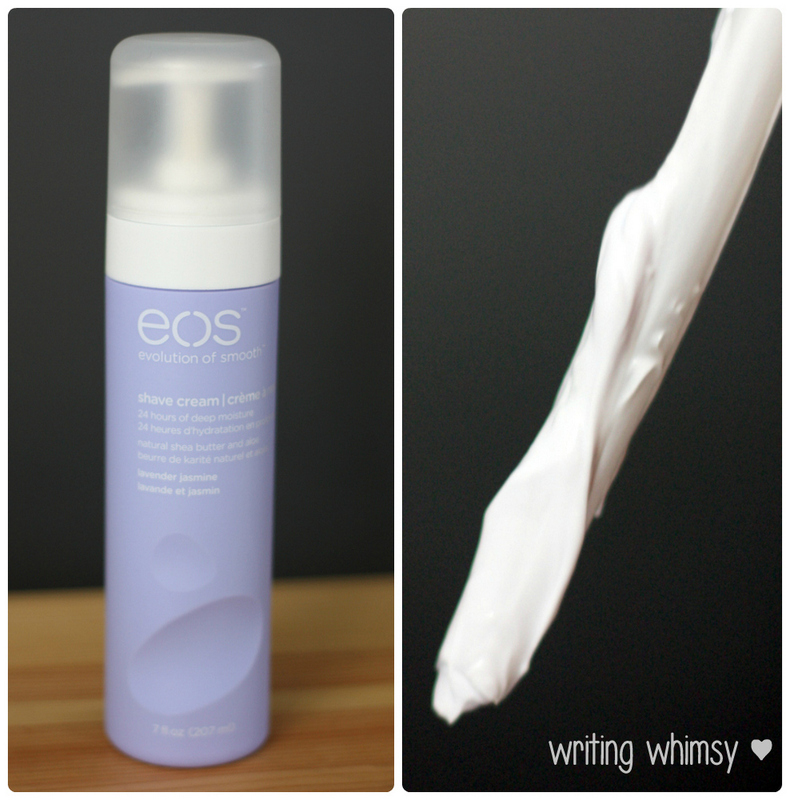 The second new release I have to share is the EOS Shave Cream in Lavender Jasmine. EOS Shave Cream was previously available in Pomegrante Raspberry and Vanilla Bliss, both of which I’ve owned and you can see reviews of here. However the Lavender Jasmine scent is brand new. In terms of scent, the other two scents were absolutely delicious and I loved them both so much I had to buy both. Lavender Jasmine is also fantastic (and it’s PURPLE, which I love) however it is a little more mature because of the floral notes, and less sweet. I don’t think the scent is incredibly strong, so although it is nice, you don’t have to worry about it lingering forever. 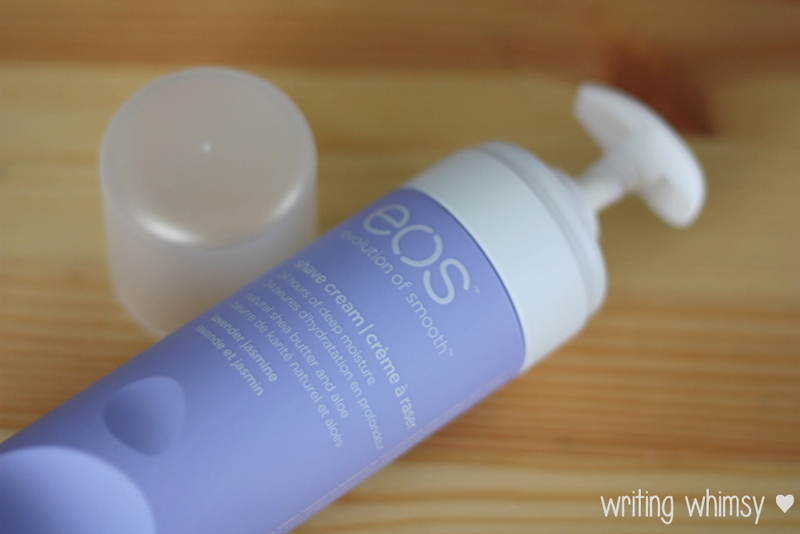 You can check out my other review for more in depth thoughts on this product, but the EOS Shave Cream in Lavender Jasmine is rich, thick and creamy. Because of that, it does have to be rinsed out of your razor as you are shaving. However it does a fantastic moisturizing job and can also be used if you needed to shave on dry skin. To me, this is a decadent shave cream, and although I often get away with using showergel instead, it is nice to have something so thick and dedicated to shaving, especially as the summer months approach. I can say 100%, but EOS Shave Cream in Lavender Jasmine would probably also be a good choice if you had sensitive skin. 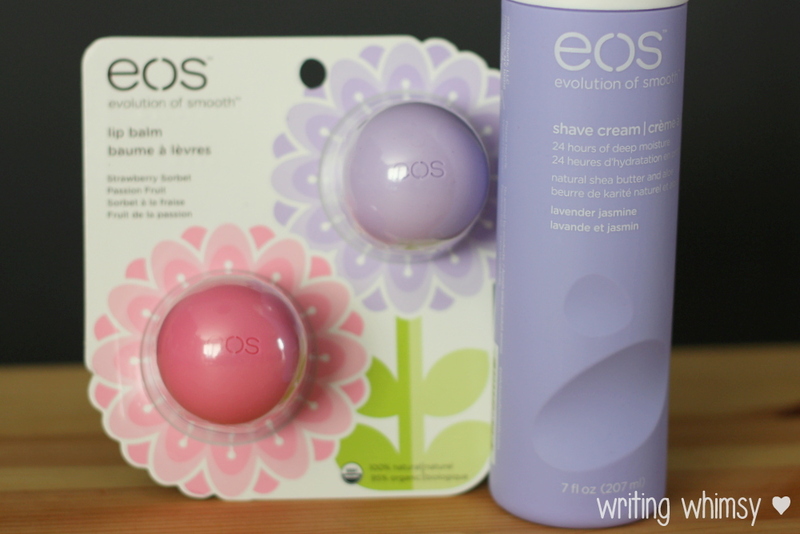 Overall, I think both EOS Spring 2014 Lip Balm Set and EOS Shave Cream in Lavender Jasmine would make a great addition to an Easter Basket. The packaging is adorable and although the lip balm was not a total hit for me I’ll be passing them onto my twin sister who adores them. I’ll be keeping the shave cream though, so nice! Have you tried any EOS products? I really want to test out their hand cream, it smells so good!